Thanks to Amy Davis, I have a Friday link-up drawing to post. 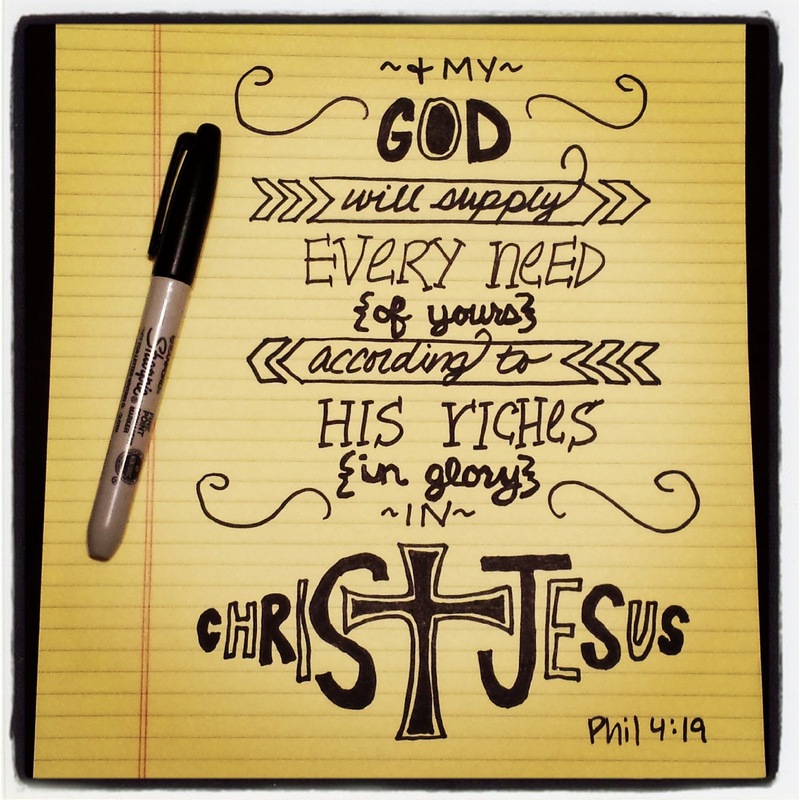 For today's challenge, I was to spend 15 uninterrupted minutes on a drawing of Phillipians 4:19. I am very much a beginner at hand lettering, but I do enjoy it - so I gave it a whirl! If you feel so inclined, link to Amy's blog yourself (www.mavisdavis.wordpress.com) and join in the Friday challenges. 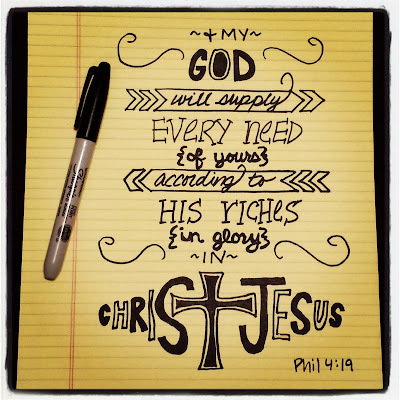 What a creative way to meditate on Scripture and get some artsy practice in at the same time!